Till April 28: Exhibition of paintings by R. Rajenthran titled Nature Dwellers. Rajenthran is an alumnus of the Government College of Arts and Crafts. He joined as Head of Dept. in MGR University and served as Principal of the Grand Institute of Fashion Technology for visual arts and also taught at SRM University. 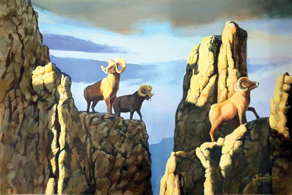 His painting themes include animal kingdom, the flora and fauna in realistic style. He has also been painting a series on mythological icons. He has a few exhibitions to his credit – (at DakshinaChitra).